The trade association representing members with interests in the tyre industry. Those represented include the manufacturers, importers, wholesalers, retailers, recyclers and equipment suppliers to the tyre trade in Ireland. The ITIA represents the tyre industry by promoting the benefits of using our members to the consumer. It also makes representation to government and relevant organisations on behalf of its members on key issues. We have a comprehensive set of member benefits which makes joining the ITIA a move which can save you money and help to keep your costs down. We work as a voluntary executive council committee which is representative of a cross section of the industry. The council holds monthly meetings. We have set up a number of sub committees to deal in detail with areas of concern for our members. From these we will offer key advise and support to our members to give them tools to help you deal with issues affecting your business. 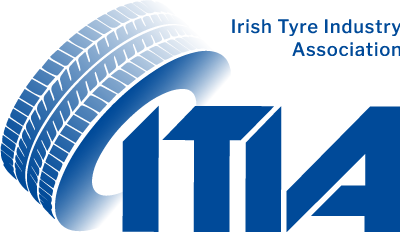 The Irish Tyre Industry Association was formed in 1998 to unite all sectors of the tyre industry – manufacturers, importers, remoulders, wholesalers, retailers and equipment suppliers under a single ‘umbrella’. If you have any feedback on our updated website or to discuss any issues that you feel the ITIA could be influencing in helping you solve please contact us.